Symphony No. 4 "The Nostalgic"
Under Eri Klas this orchestra plays these scores as if they are the end of the world. A spicy introduction to Englund's music in zestful and committed performances. 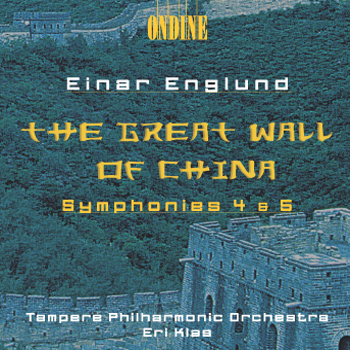 Einar Englund's incidental music to The Great Wall of China will delight and astonish music lovers looking for a refreshing new experience. (...) Not only do Eri Klas and the Tampere Philharmonic offer performances as gripping, cogent, and virtuosic as the music ideally demands (and make no mistake, Englund was one of the 20th century's masters at writing for orchestra), Ondine has captured them in stunningly realistic, impactful sound. Don't miss this extraordinary recording by any means!